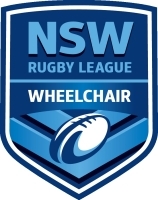 Welcome to NSW Wheelchair Rugby League on SportingPulse.com. Follow the details of all our latest competitions including fixtures, ladders, venues, team info and player stats. We are writing to you to advise of an exciting change to our game. February 2017 marks the start of a new wheelchair rugby league competition, where players will compete in a two-tier competition. We are reaching out to all current, former and new athletes to participate and support to increase numbers for both tiers. The competition has been scheduled to commence on Sunday the 5th February 2017 and conclude in April 2017. The first tier competition will be made up of higher skilled players and will be played strictly to international rules. Our second tier competition has been designed for developing players and experienced players to share their knowledge. Tier one players will assist in facilitating these games. Tier two athletes will get the chance to represent NSW City and NSW Country at the City Country Festival on May 7 in Mudgee as well as NSW in June when NSW takes on Queensland in Brisbane. We ask that you please take the time to complete the Expression of Interest form so that we can ensure everybody has a team and ensure the success of this new format.